Barely a day after Econet Wireless Zimbabwe announced that customers can now subscribe to the new Kwese TV service, the Broadcasting Authority of Zimbabwe (BAZ) has released a statement saying that Kwese TV is not yet licensed to operate in the country. BAZ has also said that the licence Kwese TV has used to launch its service, the one issued to Dr Dish, is not valid anymore as it “was cancelled by the authority for failure by Dr. Dish to provide service” when the company initially attempted DTH pay TV years ago. The Broadcasting Authority of Zimbabwe (BAZ) wishes to advise the public that the authority has not issued a licence to Kwese TV to operate in Zimbabwe. This follows media reports suggesting that Kwese was now officially in Zimbabwe and did not need a licence after all. In a statement, BAZ CEO, Mr Obert Muganyura said in terms of the Broadcasting Services Act [chapter 12:06], no person shall provide a broadcasting service in Zimbabwe other than in accordance with a licence issued by BAZ. He stated that the content distribution licence issued to Dr. 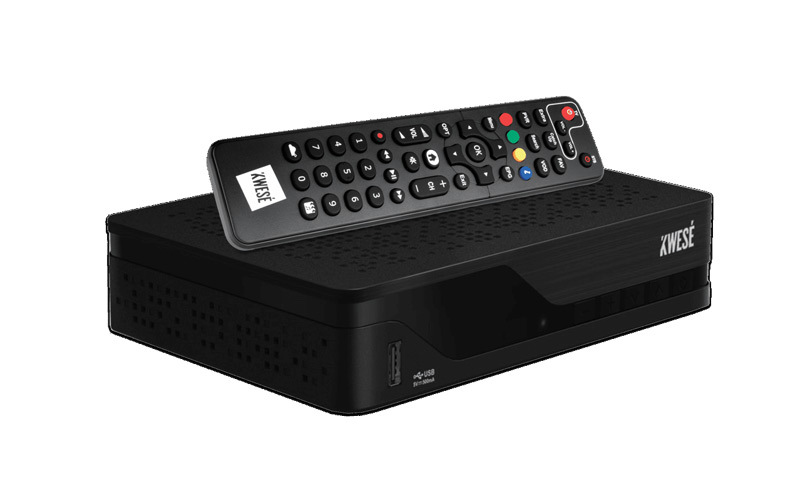 Dish, which was specific to the provision of the My TV Africa Service, as declared by Dr. Dish in its application and stated in the terms and conditions of the licence, was cancelled by the authority for failure by Dr. Dish to provide service. “BAZ therefore wishes to advise the public not to invest in a service that cannot be provided without a licence and warns anyone who may contemplate providing an unlicensed broadcasting service to acquaint themselves with the course of action that the authority is bound to take in terms of the law,” said Mr Maganyura. Rumours that Kwese TV had finally managed to get a licence started circulating in Zimbabwe some weeks ago. Asked to confirm that its challenger pay TV service now had a licence, Econet suggested that some administrative procedures had to be completed first, and that confirming possession of a licence was premature. Less than a week ago however, Dr Dish, a company licensed to provide pay satellite TV in 2012 (when it introduced MyTV Africa) issued a press release announcing that it had partnered with Econet Media to enable the latter to operate Kwese TV in Zimbabwe services using the Dr Dish licence. This new announcement by BAZ however means Econet Media and Dr Dish have a regulatory issue to resolve and may need to suspend the day old Kwese TV operations immediately. Our assumption is that Econet Media and Dr Dish had considered the possibility of BAZ having an issue and are prepared for a legal battle, but we could be wrong. The next couple of days will certainly shed light on whether Zimbabweans will be able to enjoy the new television entertainment alternative or not. If this report is anything to go by then our government does not need good things to happen in Zimbabwe. Government is right in saying that no one should be allowed to offer TV services without a license. But I was hoping that exceptions do exist. Authorities that be, should not be too hard on services that will add some income to the government through licensing of Kwese TV. In my own opinion I would like our authorities to allow Kwese TV to operate in Zimbabwe in accordance with the laws of our country. Then give Econet a time frame to sort out their license issue period. Masiiwa should never get a chance to run a TV station, rather he should lose Econet Zimbabwe. The man is too prestigious and thuggish. Your comment sounds silly to me….bt it’s non of my business??? I welcome the deal. Masiiea is too prestigious and he want to be worshipped. He takes himself to be a demi-god who enjoys diet. His actions does not serve the interests of Zimbabwe. Hurumende ngaipabate apa. Econet yapfuma nemari dzevatamburi. Vanhu vachema nekubirwa in the name of development and God. english yako ma1 bro. go back to school. Diet seriously????? Let the monkey dance begin again!!! This is what happens when you are led by a bunch of guys who have no idea what the world out there is now like in terms of digital services like broadcasting, content provision, media, communication and technology in general. What more can we expect when we have people who think a mobile money platform is something so bad that it should be stopped. Why should Zimbabweans not be allowed to enjoy cheaper services or even have options and freedom to choose which products they want to use? Nxaa mhani!!! Want to detect what kind of car people should drive, what we should eat, what provider we should use for TV, where my children should go to school, what religion to follow, what newspaper you read. Next it will be who to marry, how many times you sleep with your wife!!! Nxaa squared!!! I usually love writing about technology but this is frustrating!! Big up Prof Moyo’s comment on twitter!! @Nakunama – choka. Ngati ulibe cholankhula! Sitifuna zonama iyayi. Strive has employed many Zimbabweans but he is not perfect. Simple case to me. If Kwese TV needs a license, let them apply, get it and start offering the service.